Best Friends Pet Therapy Training--FREE! 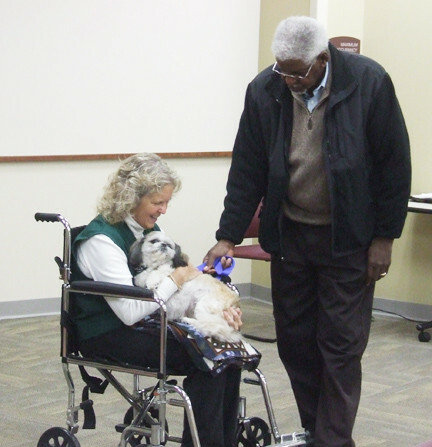 Best Friends Pet Assisted Therapy conducts four training sessions each year at no cost to the participants. As a non-profit 501(c)3, Best Friends does not need to charge for pet therapy training like some other groups do to make a personal profit. Training sessions are gentle for the dogs. Teams are tested by approved Alliance of Therapy Dogs (ATD) national testers/observers, who are animal professionals. One ATD tester/observer is also an American Kennel Club (AKC) Canine Good Citizen (CGC) Evaluator who can administer the CGC, AKC S.T.A.R. Puppy and AKC Community Canine programs. ATD has a $5M liability policy that goes out with teams on all visits as long as the team has a current membership with ATD and are following ATD pet therapy rules. ATD does not make anyone use one's home owners' policy for liability insurance or have one purchase one's own liability policy. 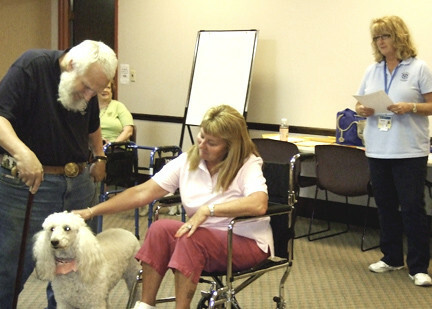 Training participants DO NOT have to join Best Friends Pet Assisted Therapy. Successful teams are certified ATD pet therapy teams, which can travel throughout the United States, Canada, and Puerto Rico and be covered by the national ATD liability insurance. Trained teams have full knowledge of Animal-assisted therapy (AAT), which is the planned inclusion of an animal in a patient’s treatment plan and Animal-assisted activities (AAA), which is the use of animals in recreational and visitation programs. There is one phone call to make to receive help with all questions and concerns. Classes are held at Oakwood Village in the Community Room, 1500 Villa Road, Springfield, OH 45503. Enter through the main entrance in the front of the facility. The dog must be at least one year old. The handler must have owned the dog or have known the dog for a minimum of three months. We do not teach obedience to the dogs. Dogs that come to class need to be calm, friendly, and already able to take behavior commands by their owner. All dogs are screened at the first class to ensure the dog is appropriate for pet therapy activities. Must attend all three classes in the session. 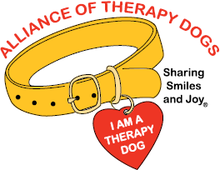 YOU DO NOT NEED TO JOIN BEST FRIENDS PET ASSISTED THERAPY TO TAKE THE FREE PET THERAPY TRAINING.